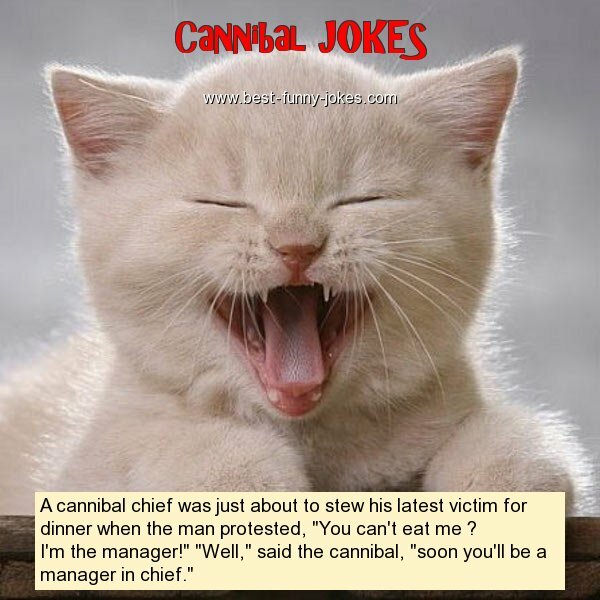 A cannibal chief was just about to stew his latest victim for dinner when the man protested, "You can't eat me ? I'm the manager!" "Well," said the cannibal, "soon you'll be a manager in chief."